Nine pounds of succulent fillets. 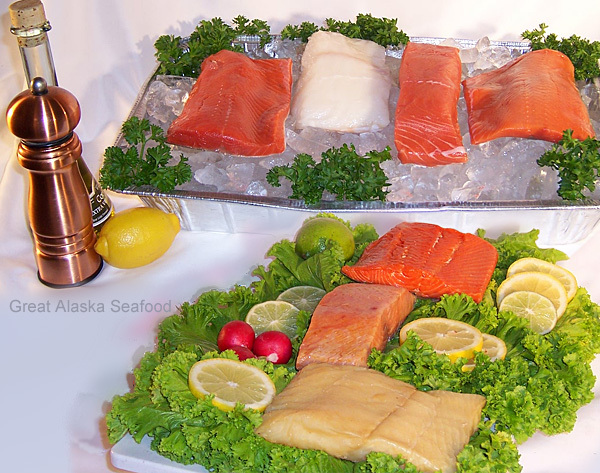 It's our Alaska fishermen's favorite selections. Shipped FREE to your door. Nine pounds of delicious, heart healthy 100% Wild Alaska Salmon, Sablefish, True Cod and Halibut. Ideal for the person who enjoys Alaska's finest catch. All species are ideal for baking, grilling, and any of your favorite seafood recipes. Each fillet is vacuum sealed and flash frozen, preserving and ensuring flavor and freshness.